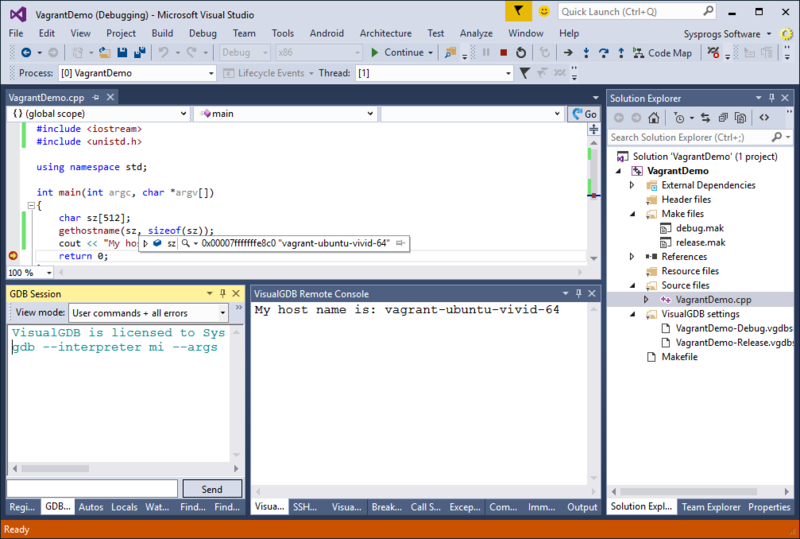 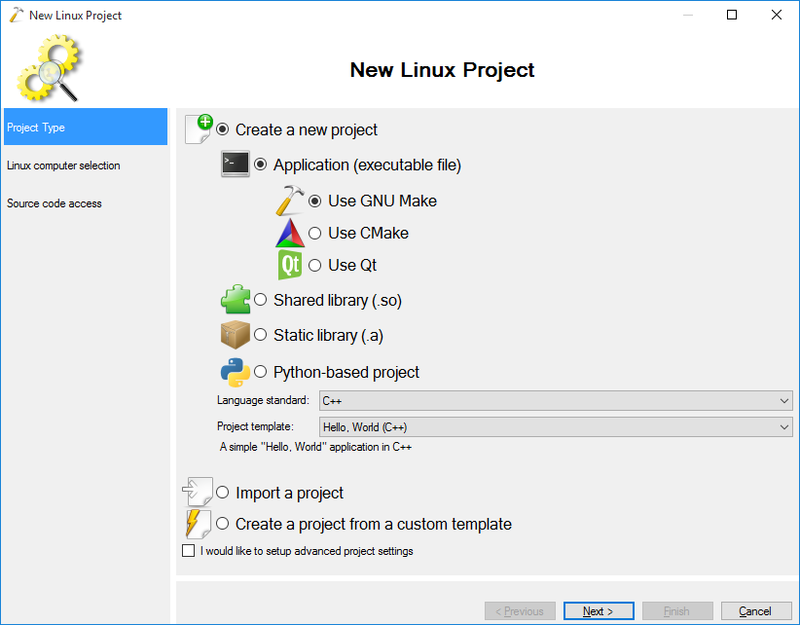 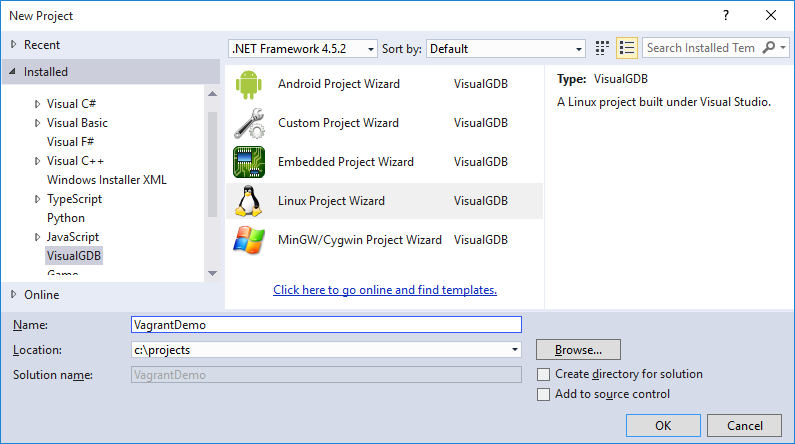 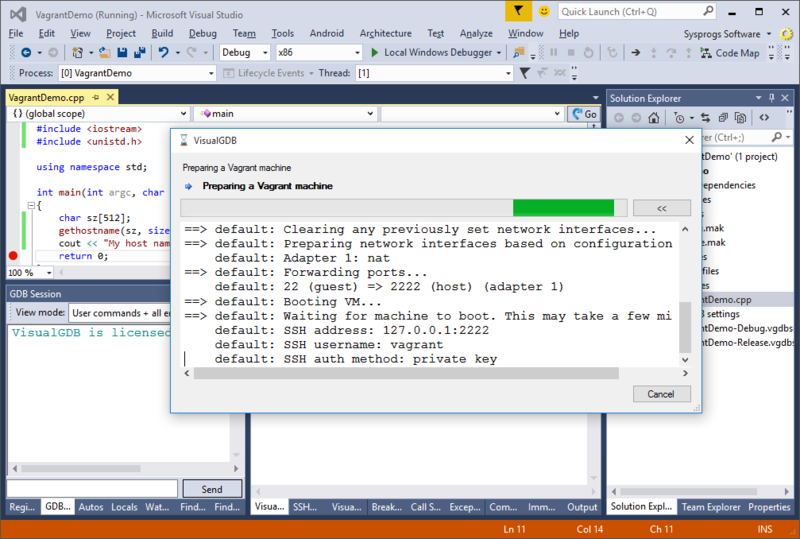 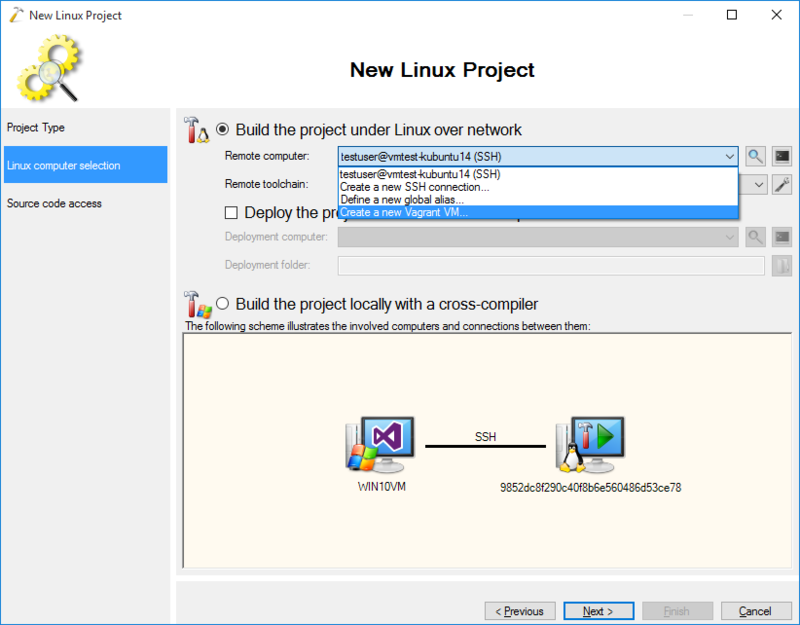 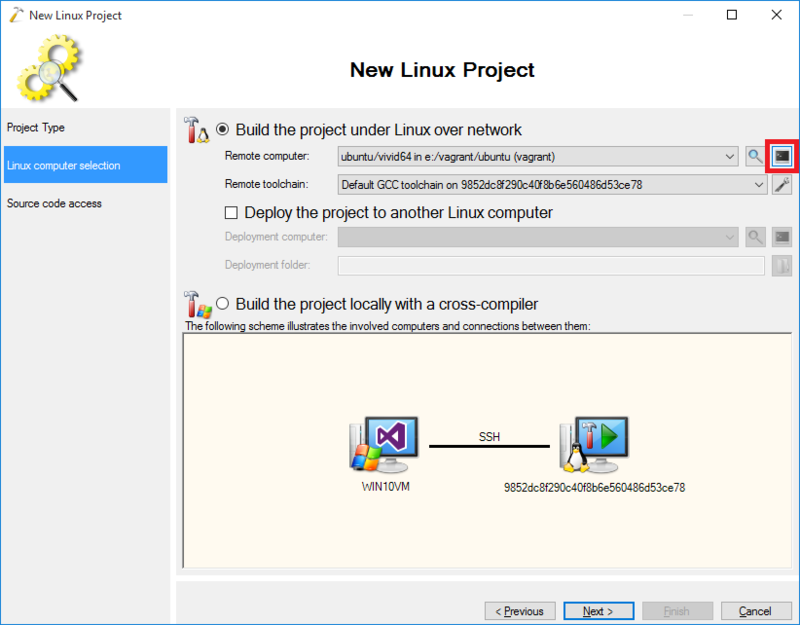 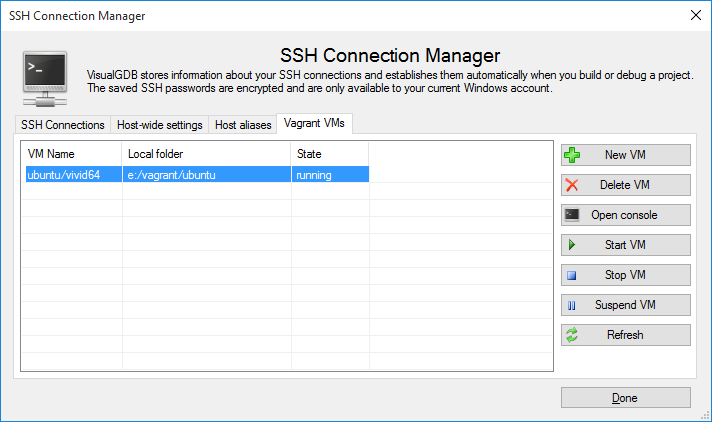 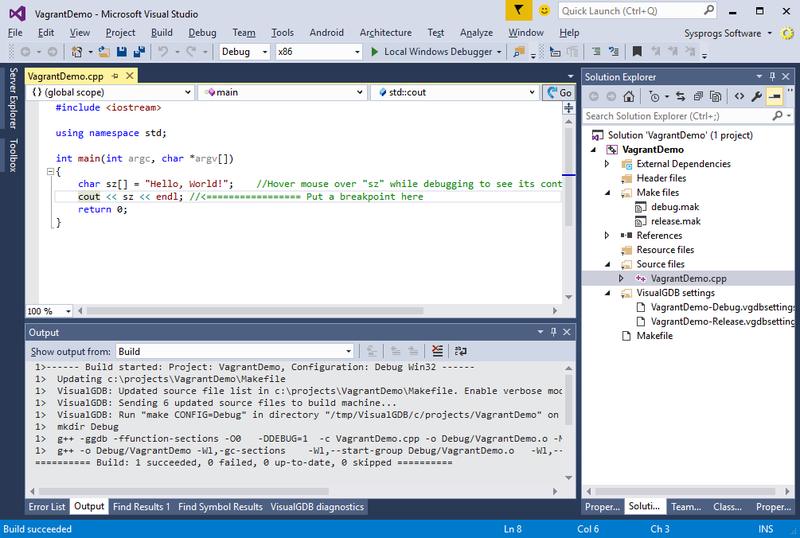 This tutorial shows how to use Vagrant to quickly setup virtual machines with popular Linux distros and use them to develop C/C++ applications with Visual Studio. 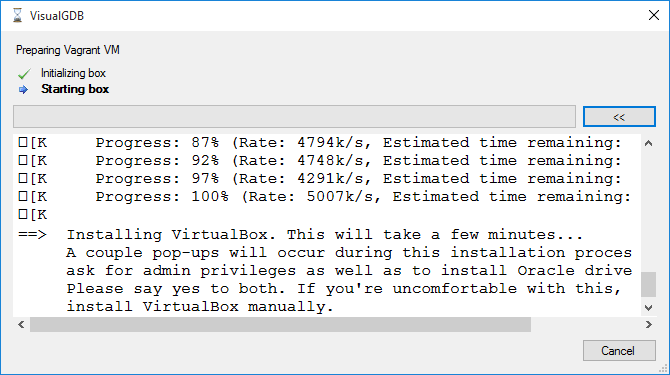 Before you begin, install VisualGDB 5.1 or later. 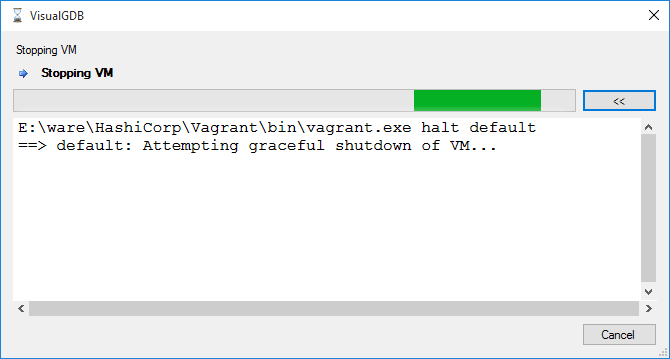 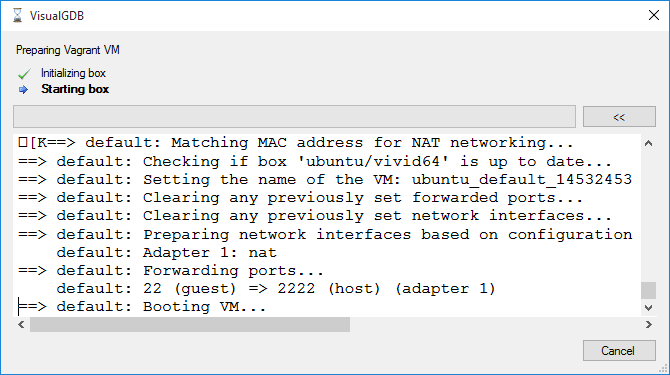 On the next page simply select “Create a new Vagrant VM”: If you already have Vagrant VMs on this Windows machine, VisualGDB will detect them automatically by reading the %USERPROFILE%\.vagrant.d\data\machine-index\index file and show them in the list. 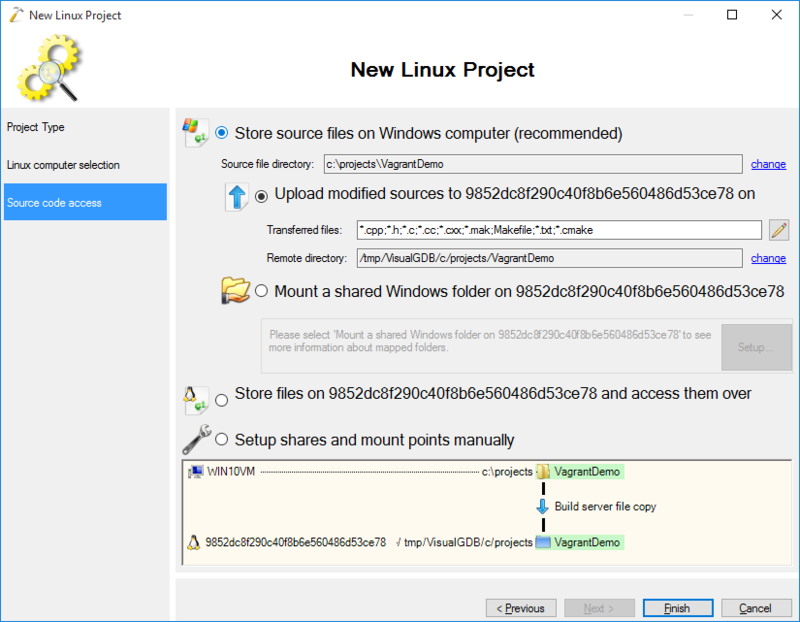 Next time you want to debug the project, VisualGDB will automatically detect if the VM is not running and will seamlessly launch it and establish a new connection so that you can continue debugging your code: Do not forget to build your code again if you have stopped the VM, as the /tmp directory used to store the uploaded sources is deleted each time the VM restarts. 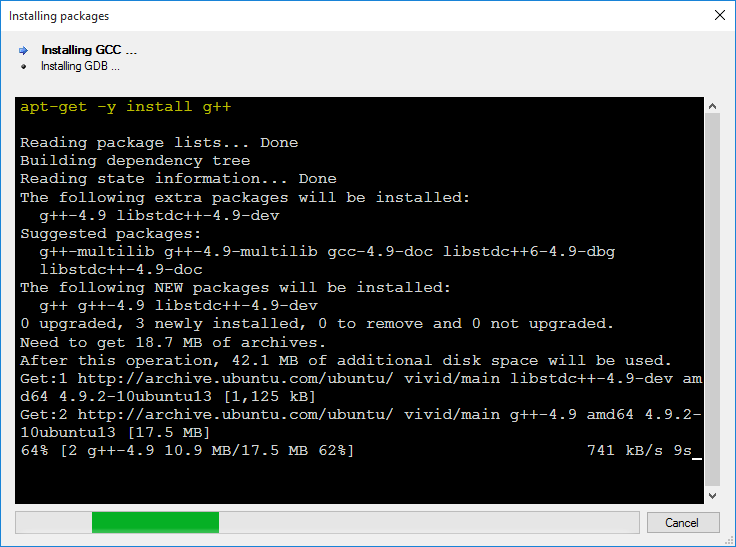 You can also use a different directory to store your files (e.g. 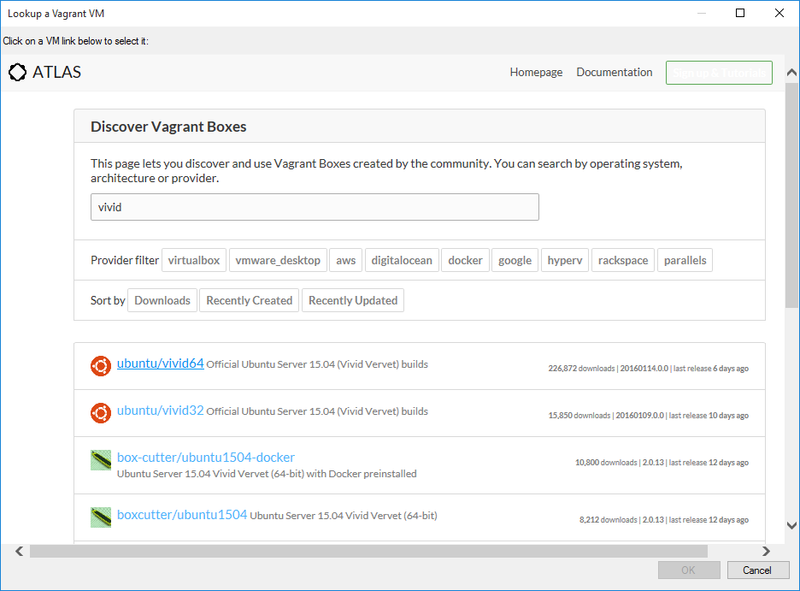 inside the home directory of the current user).